Most cyber experts attribute the huge data breaches at Equifax and Home Depot to criminals, but Ontario’s security advisor backs those who think they were done by nation-states as he warned CISOs they’re in a new era of cyber war. 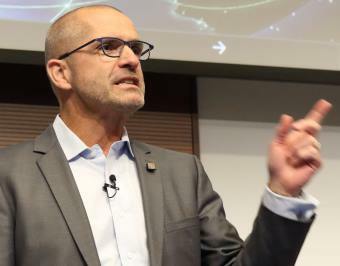 “I suggest it [Equifax] is a nation state play,” Ray Boisvert told a workshop for CISOs Thursday in Toronto sponsored by the Information Technology Association of Canada (ITAC). “This was not an organized criminal play. “There’s lots of occasions where there’s a convergence of interests, where organized criminal groups can operate with impunity in certain countries,” he said “Then you’ve got an opportunity where the best in malware, best in advanced persistent threats are shared [by governments] with criminal groups. So they move from nation states to criminal groups because there’s money to be made by everybody. The possibility a country was behind the huge breach at credit rating giant Equifax, where personal data on 143 million people in the U.S., Britain and Canada was stolen, was raised by Bloomberg News in a Sept. 29 article, which quoted unnamed sources knowledgeable with the investigation believing the hack was so sophisticated it had to be done by a nation-state. Others in the investigation, the article added, aren’t so sure. In July a United Nations Group of Government Experts failed to reach unanimity that some principles of current international law apply in cyberspace. The Group, with an expanding number of countries, has been meeting since 2004 to agree on how laws and rules limiting conventional war – such as an “armed attack” and the right to self-defense – apply in the cyber world. NOTE: Microsoft’s proposal will be discussed at a panel at next week’s annual meeting of the United Nations Internet Governance Forum in Geneva. It’s a challenge to get countries to agree on international cyber norms he said, in part because the holes in digital infrastructure give all countries an advantage for attacks. “We work with intelligence communities around the world and they reserve the right to hold onto vulnerabilities they believe are in their national interests.” The number of nations with offensive cyber capabilities is growing, he added. In addition to countries having enforceable criminal cyber crime legislation, Microsoft would like to see binding international agreements roughly based on the nuclear and chemical non-proliferation treaty with 10 proposed commitments (for example, signing countries promise not act against security and safety of private citizens, intellectual property, journalists, the electoral process, systems key to the global economy or tamper with mass market commercial tech products. Any cyber weapons have to be as targeted as possible). 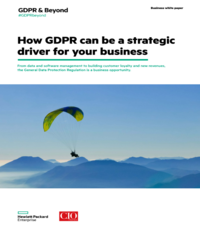 There would also be a tech sector accord (for example, no support for offensive cyber operations, co-ordinate on sharing the discovery of vulnerabilities, promise to assist customers anywhere and not hold back patches) that would include the creation of an independent peer-reviewed organization – with government participation — to attribute cyber attacks. 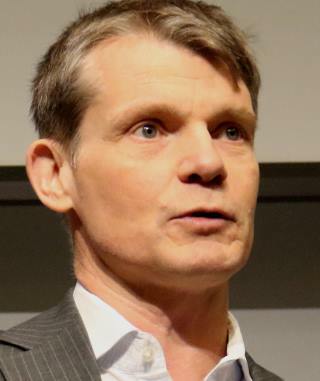 Hewie also had dark news for CISOs: Cyber attacks like NotPetya will increasingly be rapid, automated and disruptive – NotPetya was not merely disruptive, he made clear, it was also destructive. One company had 66,000 PCs infected in 60 minutes, he said. All had to be rebuilt, the damage was so bad to their hard drives. What is most worrisome about NotPetya is the professional way it was packaged, he added, containing a number of exploits. Other trends he mentioned are what he called the “weaponization of Office documents left on a file share” with a catchy file name staff are likely to open, thus spreading malware; the increasing market for stolen corporate access credentials; lazy software developers who cut and paste open source code without verifying where it came from; and the compromising of software companies code or upgrade mechanisms for spreading malware, which is how NotPetya got started. “This is an industrialized attack industry,” Hewie said. — Have a plan A, a plan B and a plan C.; “You always have to think about the worse that can happen.” The organization should regularly conduct table top exercises on what to do in the event of a cyber attack – and remember to apply lessons from these exercises. “Complacency will kill you,” he warned infosec pros.